At Mountain Humane, second chances are the name of the game. Every day we work to create new possibilities for homeless animals in our community. We are proud to provide innovative and industry-leading services to not only enhance the lives of the animals while they are at the shelter, but to support every adoption so each animal can thrive in their new forever home. We have titled this continuum of services “PAWSibilities”. 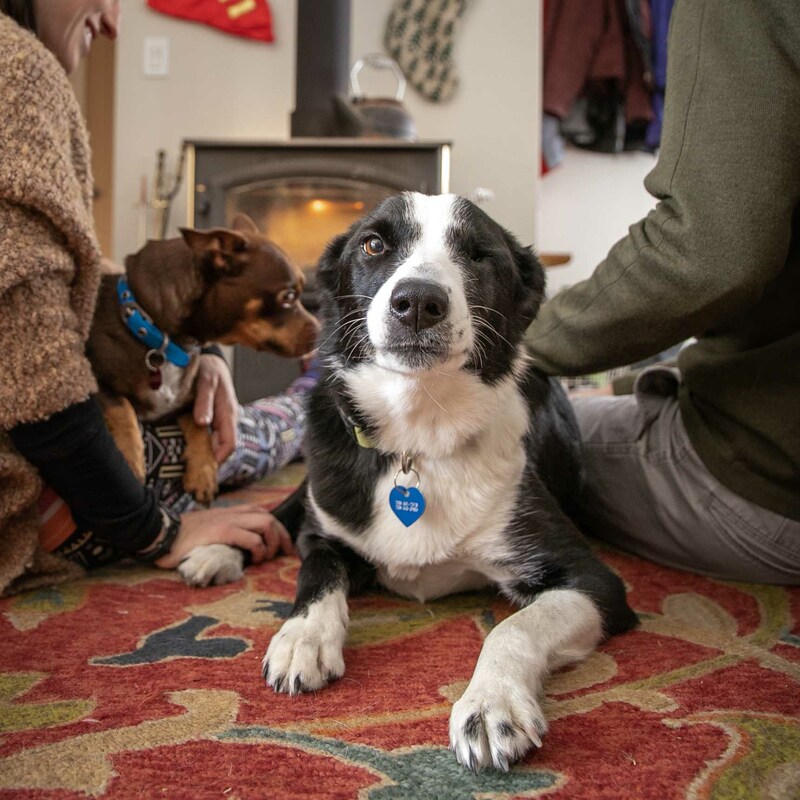 The PAWsibilities program demonstrates the extent of the ways we are able to support pets, people, and the powerful connections between them. Shelter environments, no matter how loving, can be incredibly stressful for animals. They are in a foreign environment, surrounded by other unfamiliar animals, loud noises, and consistent stimuli from visitors, staff, and other animals. In order to minimize these stressors, our staff and volunteers engage in enrichment activities with the animals to give them coping skills that not only help them manage the stresses of shelter life but that also ultimately make them more adoptable and help them thrive in their forever homes.Enrichment activities range from “quiet time”—one on one time staff and volunteers spend with individual animals petting and grooming them or working on training activities—to food activities that extend the pleasure of feeding time, like bedtime snacks of Kongs filled with peanut butter, kibble, and other treats. 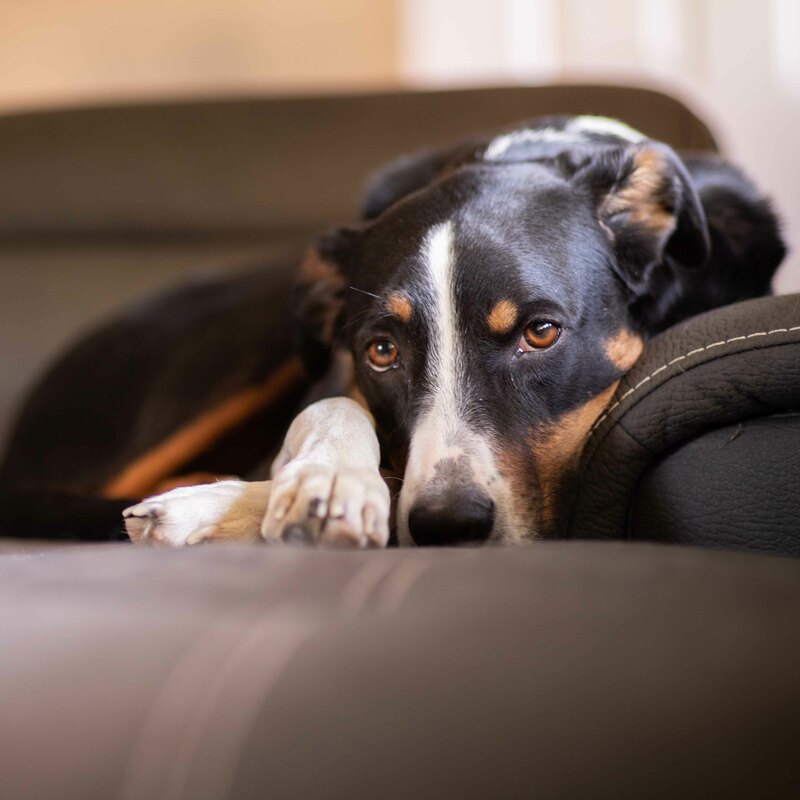 The goal is both to give the animal a reprieve from the stress and chaos of the shelter, as well to keep them mentally, physically, and emotionally sound. While some of these activities are incredibly simple, they make a world of difference to the animals. Bedtime snacks of Kongs filled with peanut butter, kibble, and other treats, puzzle feeders, Cereal boxes filled with treats to be ripped apart, Chewy rawhides and nylabones for days when it's not possible to stay outside, and frozen pupsicles during the dog days of summer. Exposure to wild animal scents, spices, and nature based smells help shelter dogs keep in touch with their canine instincts, even in an unnatural environment. Classical music playing in the cat rooms to dull the noise of Shelter cleaning. 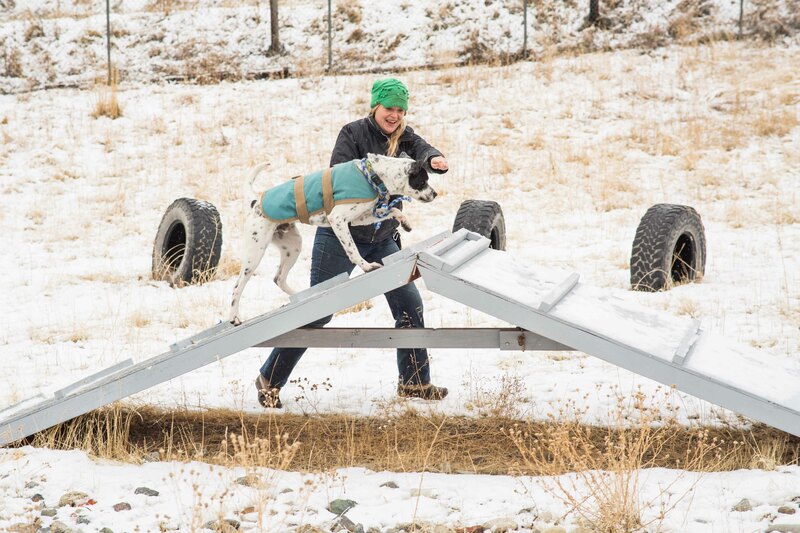 learning how to use agility equipment, walking on a leash along the road, hiking off leash with volunteers and staff for dogs. Agility, obedience, and harness training for cats to get them using their brains and bodies. To keep animals thriving at Mountain Humane often requires creativity and individual solutions. Volunteer foster homes also play an important part in reducing stress for certain special needs animals that will thrive with a little more individual attention. Every animal that comes through our doors is treated as an individual. Our trained professionals get to know each of them and evaluate their behaviors to help determine what type of home might be the best fit. But we don’t stop there. Our staff is trained to work with the animals to enhance their positive traits, and to teach them new behaviors in lieu of any challenging traits that might decrease the animals’ chances of adoption. 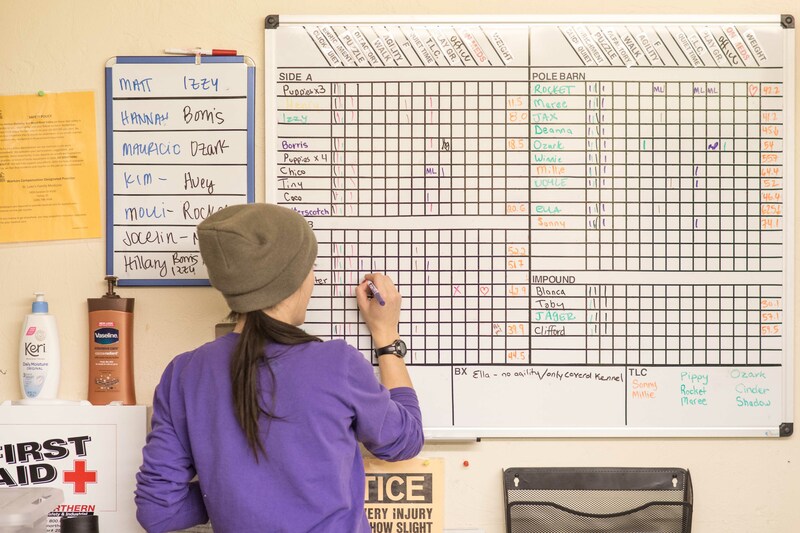 Always based in positive reinforcement, we are continuously seeking new methods and best practices to make Mountain Humane the best environment possible for our animals. This includes special trainings from such nationally recognized shelter behavior experts as Kelley Bollen, as well as ongoing continuing education for everyone that works with the animals, from volunteers to staff. 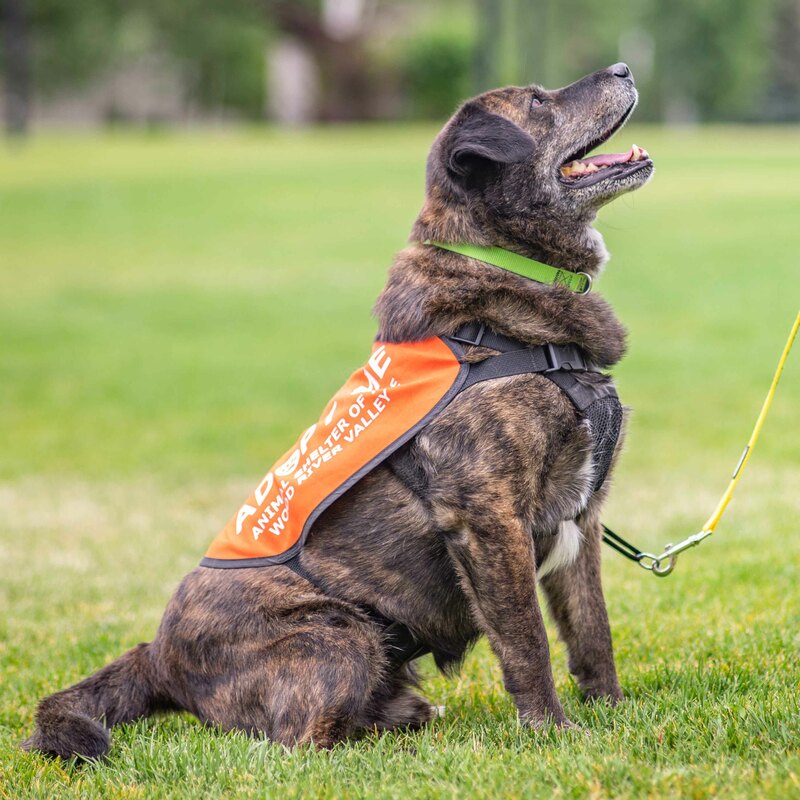 One of our key values is focusing on each animal as an individual, evaluating its specific needs, and coming up with a plan to help him or her thrive and blossom into an animal that will be a great new family member for a lucky adopter. "Every day I am privileged to see first hand just how quickly shelter animals are transformed with training and TLC from our staff and volunteers. 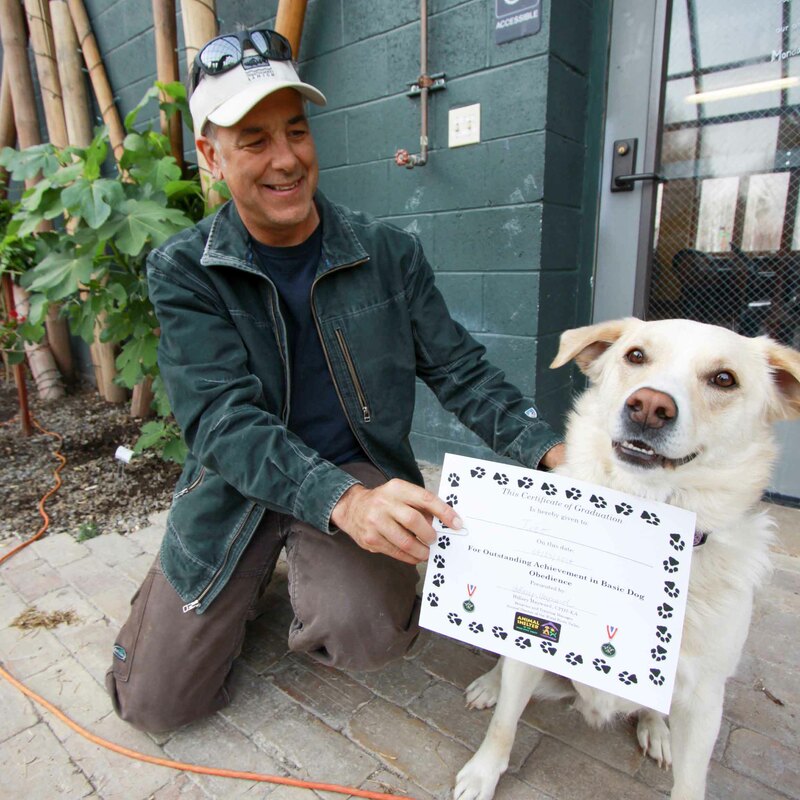 Bringing positive reinforcement techniques into shelter training makes all of the difference for these pets!" How can you utilize the PAWSibilities program?